The Skulener Rebbe, Harav Yisrael Avrohom Portugal was niftar this afternoon in Johns Hopkins Medical Center in Baltimore, Maryland. The Rebbe, who was the Zkan Ha’Admorim, had been ill for an extended period of time, during which Yidden worldwide stormed the heavens begging that the Rebbe should be granted a refuah sheleimah. Over the last few weeks, as the Rebbes health had its ups and downs, Yidden poured out their hearts with Tehillim. 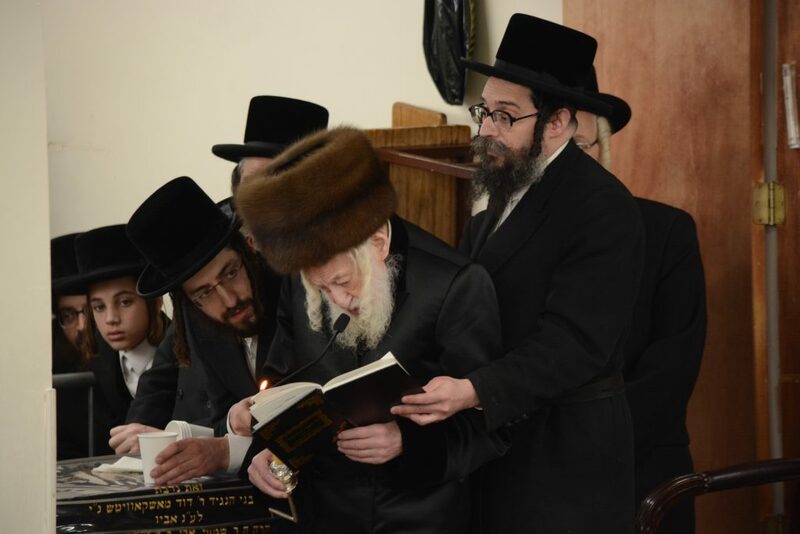 This afternoon, nitzchu ere-lim es hametzukim venishba aron hakodesh. Yet somehow, news of the loss of a Rebbe who embodied the very image of a tzaddik, who seemed like nearly the only remnant of tzaddikim from a bygone era, still came not only with heartbreak, but shock. At 95, the Rebbe had served Hashem with all his being for years amid health challenges that would have left any normal human being homebound. A loving father to every Jew that sought his advice and blessing, just as much as he and his saintly father had been to countless lost souls in post-war Europe, for many, to think of a world without the Skulener Rebbe leaves upon them a feeling of being left orphaned. 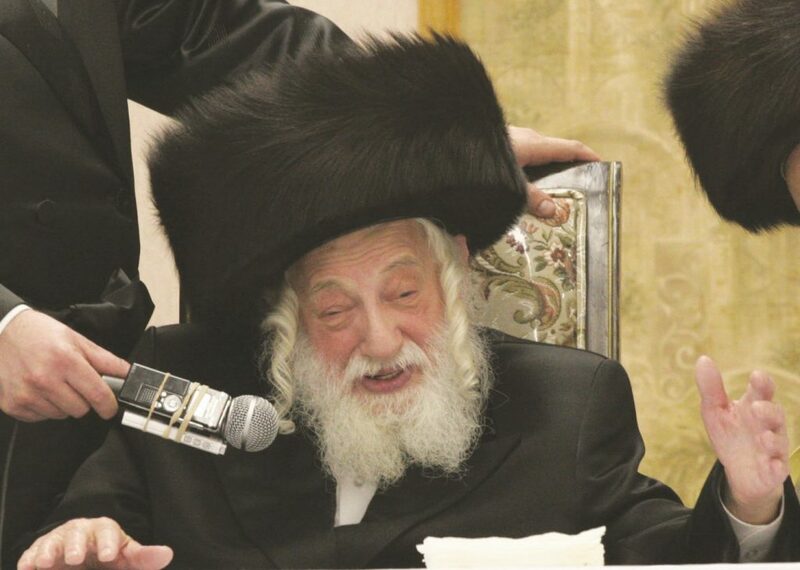 The Rebbe succeeded his father, Harav Eliezer Zusia Portugal Zy”a, to lead his chassidim after his father’s petirah on Erev Rosh Chodesh Elul, 5742 (1982). During the 36 years of his leadership, he was revered for his kedushah and his dedication to his chassidim and the myriad Yidden who came for his hadrachah, brachos, and to be inspired by his avodas Hashem. At all hours of the day and night, Yidden flocked to the Rebbe for brochos and eitzos. He was a tzaddik who existed so many worlds above any political camps, that no matter what camp or kehillah a Yid belonged to, there was never a second thought to beseech the Skulener Rebbe for a yeshuah, a brachah, to ask for chizuk or to have him share in one’s simchah. He continued the work of his father in bearing the responsibility for Chessed L’Avrohom, the organization which his father built to help immigrant children in Eretz Yisrael remain ehrlicher Yidden. The Rebbe travelled extensively worldwide to raise funds for Chessed L’Avraham. The Skulener Rebbe’s avodah always seemed unstoppable. How was it that a human being in his 80’s and 90’s was able to spend his nights counseling Jews in need, and his days engrossed in lengthy preparations for tefillah, all while carrying the burden of a multi-million dollar chessed organization, Chessed l”Avraham? The Rebbe was detached from gashmius, spending little time engaged in sleep and eating, with no more than one meal a day. He was known for his humble nature. 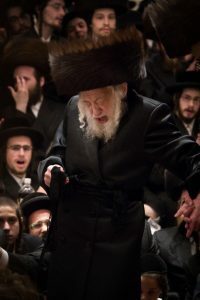 While few if anyone could truly understand the depth of the Rebbe’s avodas Hashem, and seemed to exist in a world of holiness all his own, he was a tzaddik who was uniquely in touch with the challenges of the Jewish People in his generation. A long-time warrior for the purity of Klal Yisrael, for more than the last 15 years of his life, he was one of the leading generals in the war against the dangers of internet and other technological innovations to the kedushah and mesorah of Torah Jewry. Together with ybcl”c Harav Mattisyahu Solomon shlita, it was the Rebbe who was the driving force behind the Kinnus Klal Yisrael held at Citi Field Stadium on Erev Rosh Chodesh Sivan, 5772 (2012). Following in the path of his father, he composed numerous chassidishe nigunnim, and a handful of them have become classics in the Torah community. Several Skulener niggunim are world-renowned niggunim, like the popular “Yomim al yemei melech”, “Chasdei Hashem ki lo samnu”, and the classical “Oy, oy, oy Shabbos”, which the Rebbe composed a few years ago and is today sung by thousands of Jews at their Shabbos tables. The Rebbe danced to this tune at simchos, even in the middle of the week. The Rebbe was the son of Harav Eliezer Zusia Portugal Zy”a, the previous Rebbe (1896-1982). Rav Eliezer Zusia was the Rov of the town of Skulyany (Skulen), in Bessarabia, where he focused on increasing the spiritual level of the Yidden in his town. He wrote booklets in Yiddish specifically tailored to their needs. When the Sadigorer Rebbe, Zy”a, visited Skulen and saw Rav Eliezer Zusia’s accomplishments, he urged him to move to Chernowitz, where he could serve a larger community. Rav Eliezer Zusia moved, and before long was accepted by the residents of that city. After WWII, a new chapter in the Rav Eliezer Zusia’s life began as he became the father of hundreds of war orphans, even formally adopting scores of them. He eventually smuggled his “family” into Rumania, and settled in the city of Bucharest, where he founded institutions for the orphans of the Holocaust. He personally cared for some three hundred orphans, who referred to him “Tatteh”. Most of them settled in Eretz Yisrael and remained frum Yidden. Due to his religious activities, the Rebbe was persecuted, as governmental authorities viewed his spiritual work as a challenge to Communism. Two weeks before Pesach 5719/1959, the Rebbe and his son were imprisoned in a notorious prison together with dangerous criminals. They were isolated from one another to prevent them from conspiring with one another. They were jailed for five months on the charges of smuggling children to Eretz Yisrael and spying for the U.S. and Israel. Despite the danger, the previous Skulener Rebbe and his son remained in Romania until 5720 (1960). He refused to leave Romania until the last of his “children” had reached safety. Finally, when they felt their work was done, they agreed to emigrate. With the tremendous efforts of Harav Eliezer Silver Zt”l of Cincinnati and other askonim, they were able to secure the intervention of United Nations Secretary-General Dag Hammarskjold and officials at the U.S. State Department, and the Skulener Rebbe and his son were freed, emigrating immediately. In the spring of 1960, they entered the United States, and the Rebbe explained that he chose America over Eretz Yisrael so he could better help those who remained in Rumania. When he was encouraged to open a yeshiva in his new country, his response was, “What would my yeshiva add to all the others? A person who wants to do a mitzva must ask how he can give the most nachas ruach to Hakadosh Baruch Hu.” Instead, he founded the “Chessed L’Avraham“, a network of schools in Eretz Yisrael for the children of immigrants to that country, to compete with leftist schools in Israel. They resided in Crown Heights in Brooklyn, New York. Eventually, when the majority of his followers had moved to Williamsburgh and Boro Park, the Rebbe and son moved as well. The Rebbe Rav Yisroel Avrohom divided his time between his Beis Medrash in the Boro Park and Williamsburg, and would usually spend some of the Yomim Tovim in Williamsburgh where his father lived. The Rebbe’s Rebbitzen, Reizel (daughter of Rabbi Menachem Ze’ev Stern of Oberwischau), passed away in 2005. The levayah is scheduled for Tuesday morning at 11:00 am at the Skulener Bais Medrash in Boro Park at 1315 54th Street. Kevurah will be in the Viznitz Bais Olam in Monsey next to his father, Zy”a.